It takes 10,000 hours to be a successful blogger - really? It takes 10,000 hours to be a successful blogger – really? Are great bloggers naturally talented or can you become one? Every second, of every minute, of every hour, of every day there are 35 new blog posts published. 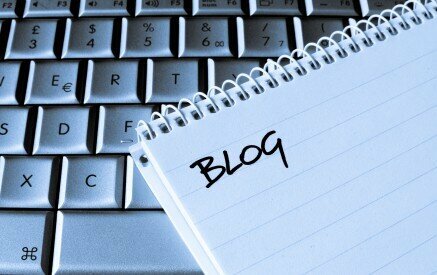 That amounts to three million new blog posts every single day – more than a billion each year. If each blog post were to be around the average of 400 words, that’s the equivalent of more than 17,000 novels worth of text being added to the web every day, just by bloggers. If you did nothing else, not sleep, eat or move from your computer it would take you at least 12 years to get through that lot. Is it any wonder that the vast majority of blogs get so little readership? Indeed, there is a “long tail” of blogging readership, as is common for many other aspects of the internet. It means that only a tiny proportion of bloggers actually achieve any real degree of success, with plenty of readers. But there could be more to their success than simply the sheer size of the competition. After all, there are millions of people in the world who play football every day, but only a relatively tiny proportion of them have made it to the World Cup (though there are some children playing footie outside today who do appear to be somewhat better than many members of the Brazil team…..!). Could it be that those successful bloggers are just naturally talented? Is it that they have some kind of gene that makes them good bloggers and therefore this helps them get their audience? Could you be born a blogger? The whole debate about talent and whether it is nature or nurture has raged on and on for centuries. However, new research has suggested that there may be more to natural talent than we first imagined. Researchers from Princeton University have found that practice only makes a small contribution to success. Indeed, in some instances, the study found that practice only contributed 1% of success. However, this study is not all it seems. The researchers themselves point out that there is a relationship with age – the earlier you start doing something, the better. Plus they say that there appears to be some role that our “working memory” plays. Working memory is that part of your memory system that holds things in place which are needed at that moment in time. So, for instance, to read this blog post your working memory needs to keep in it the words and phrases you are looking at, as well as the information from your brain’s “lexicon” which holds the meaning of these words. Otherwise you couldn’t read. Your working memory also probably has in it the physical memories required to move the mouse and scroll down the screen. Later on, all these things will be dumped from your working memory to make way for the next required elements, such as recalling the tastes of food as you peruse the menu at lunch time. In other words, your working memory provides a central repository of memories extracted from other parts of your brain to enable you to cope with the here and now. But the mere fact that working memory is involved with the success of so-called talented people suggests that even if practice is not necessary, there is a cognitive element to their apparent brilliance, rather than a mere inborn natural ability. Research suggests that the speed of your working memory is also playing a part. And it seems that your working memory gets quicker at doing things the more times it does them. Goodness me – that’s practice….! In other words, practice alone does not make you more able to do something, but practice which quickens your working memory does have that impact. And guess when you can speed up your working memory more easily – when you are younger. This all combines to point to one thing – practice may not make perfect, but doing something repeatedly for a long time improves your working memory and it is this more rapid working memory that is responsible for your increased ability. The Colarado psychologist, Anders Ericsson suggested back in 1993 that if you practised something for 10,000 hours you would become good at it. His theory was popularised – incorrectly according to Ericsson – by Malcom Gladwell in his book “Outliers”. Ericsson claims that the 10,000 hours is an average, whereas Gladwell counters that this fails to allow for “raw talent”. But the row about 10,000 hours misses out something. It misses out the impact on your working memory’s capability of doing something repeatedly. Even if you have raw talent as a blogger, doing more blogging will make you a better blogger because your working memory has to work less hard, enabling you to think more and blog more quickly. If you are a beginning blogger with no talent, you will become a better blogger the more you post things because your working memory will cope better. In other words, the argument about talent being nature or nurture is the wrong argument. The argument about 10,000 hours is the wrong argument. So what does this mean for bloggers? It means the sooner you start, the better and the more frequently you blog, the better. You will become a better blogger the sooner you start and the more often you do it. Which reminds me….take a look at those highly successful bloggers who get the readers in spite of the online competition of those millions of words. Goodness me, just look at what similarities these “talented” bloggers share – they started a long time ago and they do it every day, sometimes more than once a day. Their cognitive abilities to blog well are finely tuned because their working memory when blogging is not clogged up with the basics of putting things together. Practice will not make you a perfect blogger. But regular blogging will make your working memory more able to cope with blogging. If you want to be a great blogger start today and then do it every day – your working memory will love it.